Here are photographs of airport lounges and security areas at different airports, both domestic and international. 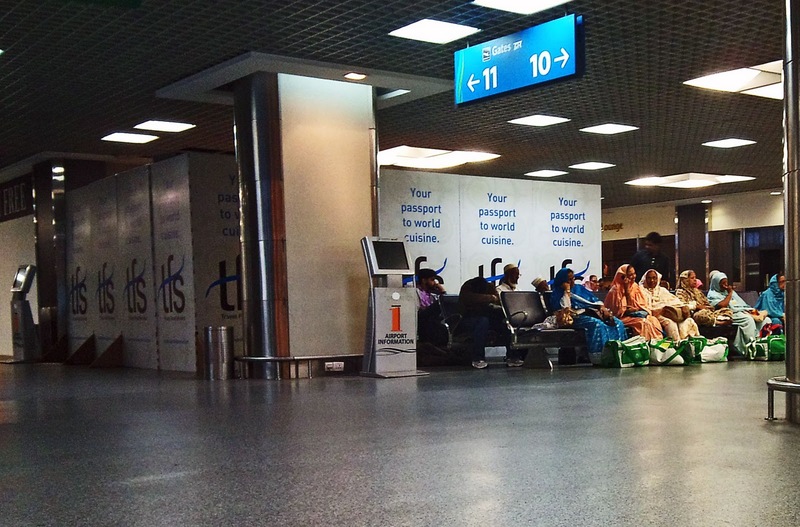 This one was taken at Mumbai international airport. A row of women dressed in Muslim attire are sitting on the chairs to the right of the photo. To the left of the image are some television screens to provide information to passengers. They don't seem to be working. The next two images are of people waiting in the security lounge at Mumbai domestic airport. You will spot a few people wearing masks. 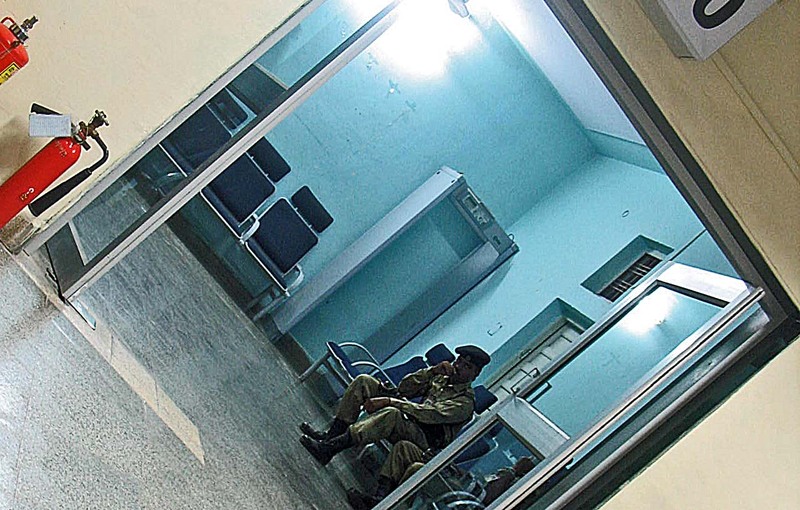 These photographs were taken at the height of the scare on swine flu. 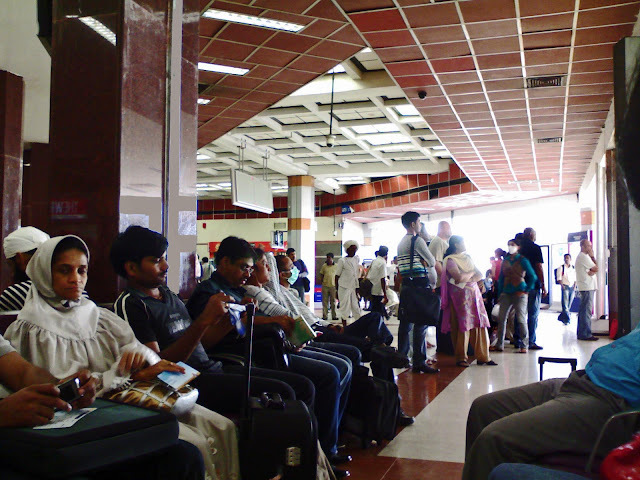 This photograph was shot at Aurangabad airport. 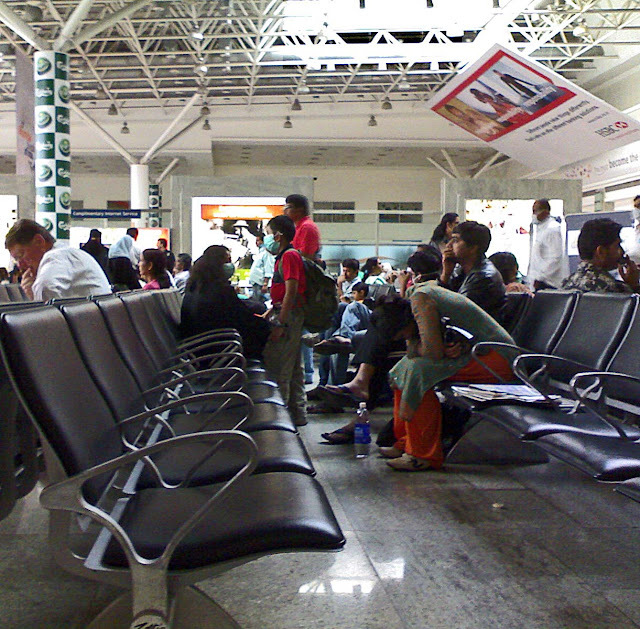 Besides people sitting and waiting, there are two airport workers in uniform to the right of the picture. 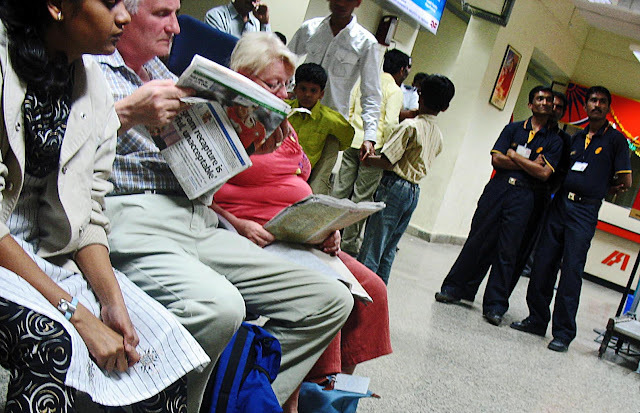 An elderly foreign couple is reading newspapers. The next two photographs can be used only in the sizes in which they are published here. The first is a peep inside the airport from outside. A group of young women can be seen with their luggage trolleys. 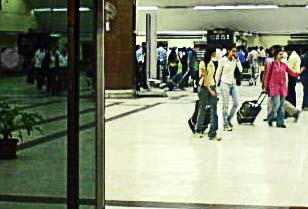 In the background the counters for check-in can be seen with people in line. 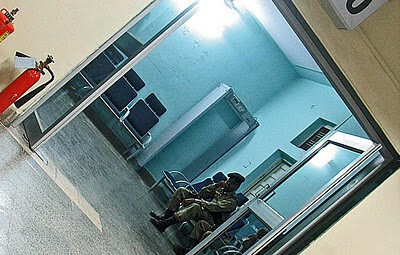 This was just a random shot of some security personnel at Aurangabad airport.